Keeping your heating and cooling systems in top shape that includes high performance tune ups reduces energy costs by up to 25%, prevents breakdowns by 95% and extends equipment life. Electrical fires cause billions of dollars in property damage each year. Main causes are attributed to overloaded circuits, old wiring, outdated electrical panels and worn outlets. Having one leaking toilet and dripping faucet can waste thousands of gallons of water each year. 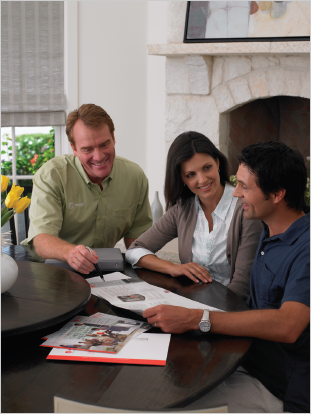 ServiceMax provides homeowners with exclusive benefits to ensure your heating, air conditioning, electrical and plumbing systems are operating safely and at peak performance. Our MAX Comfort Plan is unique in the industry with unrivaled benefits that cover the ENTIRE home. Enjoy deep discounts on repairs to your Heating, Air Conditioning, Electrical and Plumbing Systems. Money Saving Coupons Worth Over $1,500. Special Monthly coupons delivered to your Inbox. We work with our manufacturers to buy in bulk during seasonal fluctuations and due to limited quantities we offer our specials to MEMBERS ONLY! Receive special terms and rates for new equipment and repairs. Finance amounts as little a $500 and receive 0% for 12 months on any project. Longer terms available at very attractive rates. Has your heating or cooling system clunked out during the hottest days of summer or frigid days of Winter? Priority Service puts Members at the front of the line and we work hard to make sure that our clients who have supported us throughout the entire year are PRIORITY #1. In addition to priority service, all service call and destination charges are waived during the term of your membership. All ServiceMax members receive access to our exclusive app. Have instant contact to our services along with reminders and in app texting with the ability to quickly attend to your needs. This and much, much more…. Members receive monthly reminders on the status of their membership. We are here for you. Filter Fetch - The Right Filter, Delivered. Access to our distribution for setting up recurring filter orders, delivered automatically to your door. In between our visits for high performance tune-ups, filters should be replaced every 4-6 weeks. Let us take this off your to do list by setting you up on a recurring filter order. We provide multi-point inspections and tuning to your heating, air conditioning, electrical and plumbing systems to ensure systems are safe and operating at peak performance. Membership Plan covers the entire home regardless of systems quantity. Moving? We go right with you and you do not pay any additional fees for membership. Or if you choose, you may transfer plan to new home owner for added piece of mind and great selling point. Check static pressure drop across evaporator coil. Check pressure switch cut–out settings. Perform visual inspection for refrigerant leaks. Check out complete air conditioning cycle. Clean condenser coil (with biodegradable chemicals). Clean and disinfect the evaporator coil (with biodegradable chemicals). Place anti–clog & biocide tablets in condensate pan. Check and adjust thermostat and cycle rate of system. Clean, check, and adjust all safety controls. Check for gas leaks in furnace and gas drop. Check belt and adjust if applicable. Check amp draw on blower motor. Check flue pipe, draft inverter, and termination kit. Check total static and drop across coils and heat exchanger. Check and adjust fan & limit controls. Check heat exchanger (Primary & Secondary). Check & adjust gas pressure regulator. Lubricate moving parts if applicable. Check expansion tank and fill valve. Check flow control valves and bypass. Check flue pipe and draft inverter. Check air separators and automatic vents. Check out complete boiler cycle. Check and adjust heating controller / Indoor — Outdoor Reset Controls. Clean and adjust all safety & limit controls. Check that condenser drain is open. Check crank–case heater on compressor. Check out complete heat pump cycle. Check all wiring in main panel for proper sizing. Check breakers and fuses for proper operation. Check all aluminum wiring in service panel for oxidation and apply de–oxidation compound as needed. Check outside meter and enclosure. Check ground fault protection for proper operation. Check attic fans for proper operation. Check exhaust fans for proper operation. Check all accessible lights, switches, dimmers, receptacles, ceiling fans. Check all connection to major appliances. Check all main service grounding and tighten as needed. Check any exposed wiring in attic, basement, and garages. Check any outside and inside disconnects. Check all faucets for leaks to insure proper operation. Dye test toilets for leaks. Check all drains for proper flow. Provide Bio Clean treatment to all drains and toilets. Check garbage disposals for proper operation. Check all emergency shut of valves for proper operation. Label all shut offs at locations. Check all under sink traps and shut offs.